Back in February 2013, the actor was in Cameroon where he donated books and pencils to several primary schools in the Bonadikombo rural division in the South West Region. Ghanaian movie star John Dumelo is giving back to Ebola victims in Sierra Leone, one of the countries in Africa the deadly disease massively affected. The actor donated some school and health items while visiting the Sierra Leone community in Maryland, USA Monday morning. 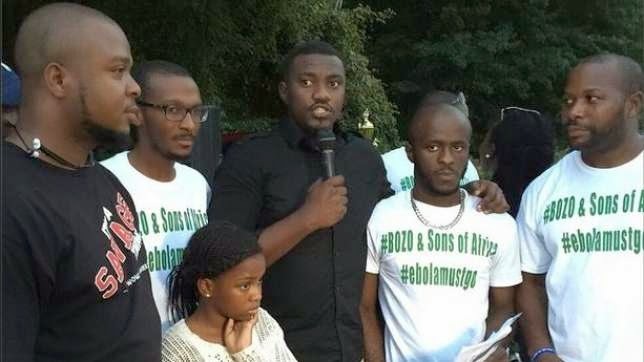 The John Dumelo Foundation in partnership with the organizers of the "Ebola Must Go" campaign in Maryland came together for one purpose - "To strongly support the eradication of Ebola from affected African countries." "... All hands on deck... this is an African problem, Let's support each other. God bless you and God bless Africa! #melomoment"
The award winner has been taking his humanitarian effort to higher heights.